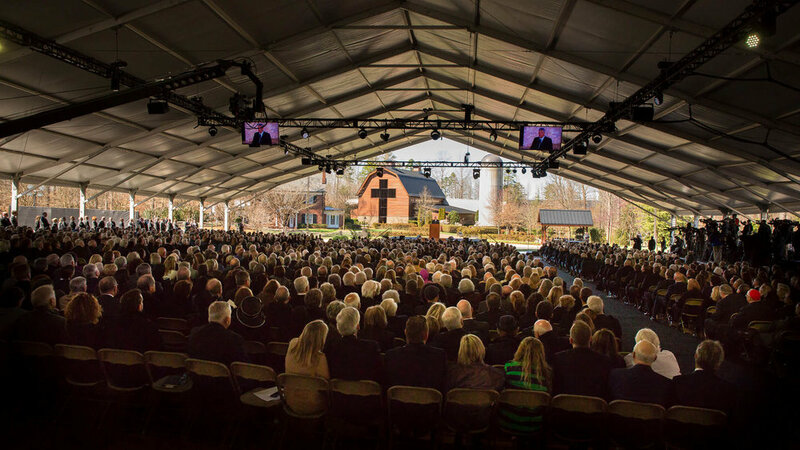 After Billy Graham passed away in 2018, many in the country mourned along with the Graham family. There were several services in Asheville, Charlotte, and Washington D.C. Thousands paid their respects from around the country and even the world. I was asked to design an accordion panel that told the story of these events. The display featured testimonials, photographs, letters and memories of Mr. Graham. The goal was to allow people who were unable to attend the funeral or other memorial events to participate and remember his life. One of the challenges of this project was integrating three-dimensional elements, such as the flag that was given to the Graham family, when his body laid-in-state in the Capitol Rotunda. We also incorporated hand-written letters from heads-of-state, as well as people who were impacted by his life and message. 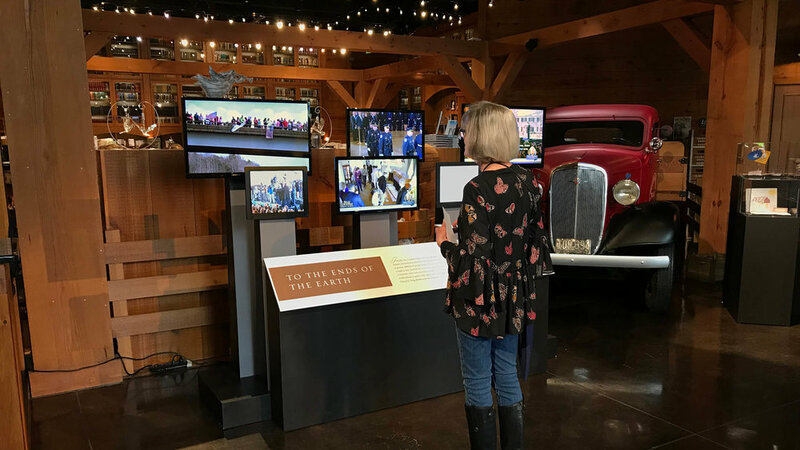 It was a special privilege to be part of the design team that worked on these pieces to celebrate the life of Billy Graham, a man who sought to live a life of humility and kindness and whose sole focus was sharing the love of God with the world.